Child safety is a massive talking point within the window shading industry with new EU legislation introduced in April 2014. This requires companies who are involved with the manufacturing, selling and installing of blinds to comply under EN13120, making non-compliance to this standard illegal, and a criminal offence. We appreciate that these changes are significant and will have a considerable impact on the industry. As a conscientious supplier of window blinds, our customers will be looking to us for both guidance and products that provide straightforward and compliant solutions. 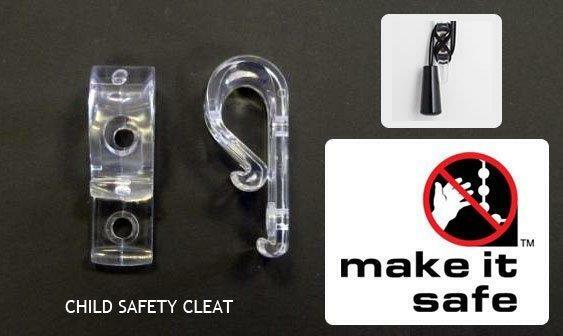 Quality Blinds Ltd has supported the BBSA's 'Make It Safe' campaign since it was launched in 2009 and we have already built in child safety features such as easy break chain connectors and cord tidies to keep looped chains securely fixed out of the way. All our blinds are packed with safety instructions and child safety devices are included. We will continue to demonstrate best practice and make sure that we advise you of the child safety options available within each product type and answer any questions you may have.